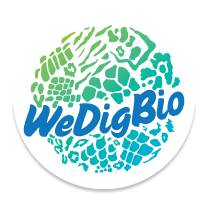 Students will participate in WeDigBio and complete an assignment about citizen science, digital data and the importance of biodiversity. 2015. Institute for Museum and Library Services, Museums for America Program, Natural History Collection Stewardship for the 21st Century at the University of Texas at El Paso. 2014. Howard Hughes Medical Institute. UTEP PERSIST: UTEP Program to Educate and Retain Students In STEM Tracks.